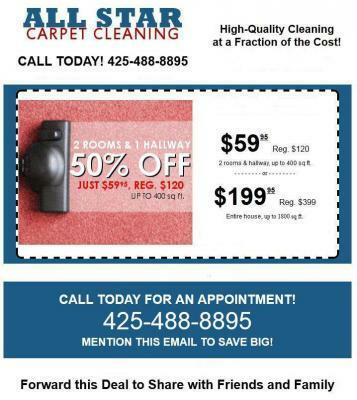 Benifits of carpet cleaning in Edmonds, Wa. Benefits of carpet cleaning for allergies in Edmonds, Wa. The need to create a healthy inviroment in the home is comforting. Besides having the outside of your home in good shape, wich is a good start for a healthy inviroment. You also have to kepp the inside clean and organized. You can do this by having your carpets professionaly cleaned. These are benefits of carpet cleaning for allergies in Edmonds, Wa. This is a good start for a healthy home. To lengthen the lifespan and create a healthy environment. At the same time, the benefits of carpet cleaning for allergies in Edmonds, Wa. Should not be overlooked. Specialty equipment is used to remove major indoor allergens from your carpet that will help to insure a healthy home for you and your family. It is very easy for the carpets to build up with dust and dirt that cause allergies, not many of us look down at the carpet, when is the last time you took a good look at your carpet. Please take a moment take a good look maybe even vacuum under the couch, chairs and other items you don't move often,lots of allergens can build up in places like that. All Star Carpet Cleaning is here to help with all your carpet and upholstery cleaning needs.